In my young life, I have learned that you can't get a good Old Fashioned outside of Wisconsin. I'm sorry rest of the world, but it's true. I also worked as a bartender for a number of years where I learned a few things about brandy ... one of them being Wisconsin drinks more brandy than any other state. Korbel has once said that Wisconsin gets 1/3 of their yearly supply. There are also a few smaller brandy companies that have almost gone out of business but Wisconsin keeps them running. Is this something to be proud of? Why not ... Go Wisconsin! Many barbecue recipes use whiskey, but being in the land where brandy is our milk and honey, I use brandy. I think the flavor profile goes much better as a sauce too. In my opinion, it's a little smoother, sweeter and caramel-like. 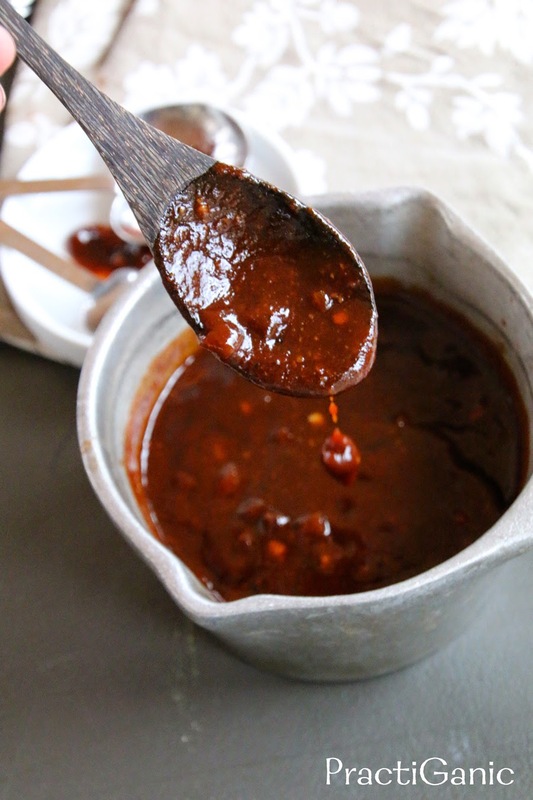 I have used this sauce on everything from tofu, to beans, tempeh, mushrooms and even chicken and pulled-pork for the meat eaters in my life. 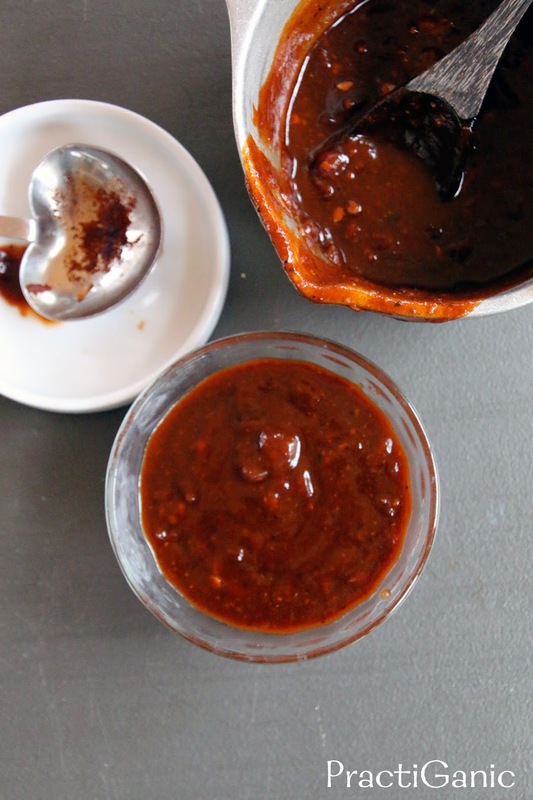 Need a gluten free barbecue sauce? 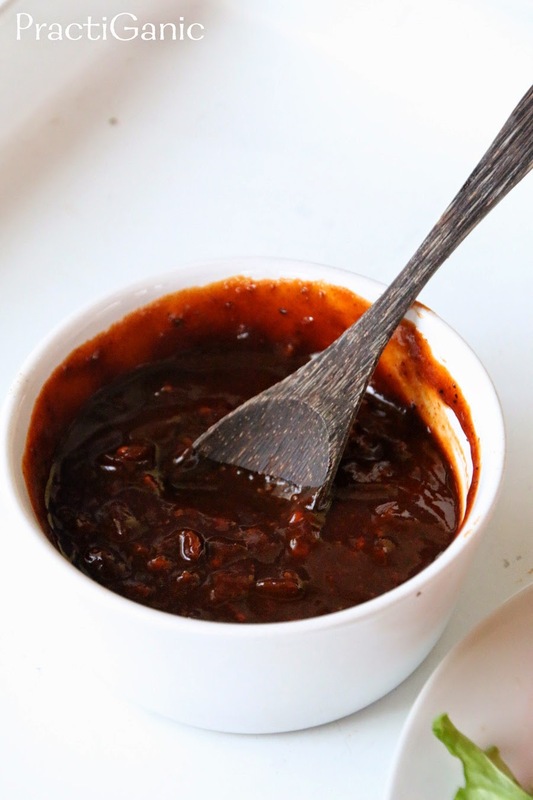 Don't forget to try Lentil Barbecue! Saute onion and garlic in a little oil. Once onion is translucent, add in remaining ingredients. Bring to boil, then cover and simmer on low heat for 45-60 minutes or until it thickens. I don't mind the chunks of the onion, but if you like a smooth sauce, use your immersion blender and mix it until smooth. Top your favorite protein or veggies. I used tempeh ... yum! !